Gummy bears, sour straws, chocolate—oh my! This June is National Candy Month, meaning you can eat all of these and more. Started by the National Confectioner’s Association (according to them, they’re “a trade association that advances, protects and promotes chocolate, candy, gum and mints”), the holiday celebrates the value candy adds to our lives. Candy has been produced for over 100 years, which means you have a lot of catching up to do if you want to eat it all. So work your way through copious amounts of candy with us this June! Ever wondered which candy reigns supreme once and for all? Have a candy battle with friends! Here's how you do it: host a candy party where you supply all your favorite brands of candy. Have your friends show up and gorge—and the candy that gets eaten the most is the winner! If you've been anywhere around Pinterest in the last year, you'll know delicious-looking candy sushi has been making the rounds. Long pieces of candy (like Twizzlers) substitute for the fish and vegetable strips in real sushi, while rice is replaced by Rice Krispies. It's the most delicious roll-up you've ever had! Take your favorite candy to a whole new level by making it yourself at home! Some great candidates to start are peanut butter cups, Kit Kats, and chocolate clusters. Flex your baking muscles, impress your friends, and have a delicious treat to boot! Who can argue with a whole month dedicated to eating candy? We sure can't. Whether you prefer chocolate or sour candy, the world is your (candy) oyster this month. Go wild—you can worry about cavities next month. 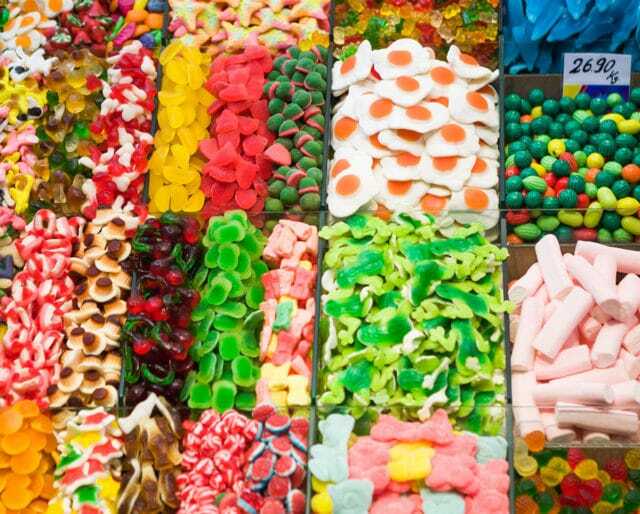 Did you know that the candy industry is worth $35 billion, and provides 55,000 jobs? Candy is a vital part of our economy! And, according to the National Confectioner's Association, many of the major candy companies in America are actually family-owned. While we all love candy, this holiday sends an important message—everything in moderation. The NCA has worked hard to make sure candy has accessible labeling, so that consumers know the amount of sugar they're consuming. Let this holiday be a reminder to indulge responsibly—eat candy, but know how much sugar you're consuming.